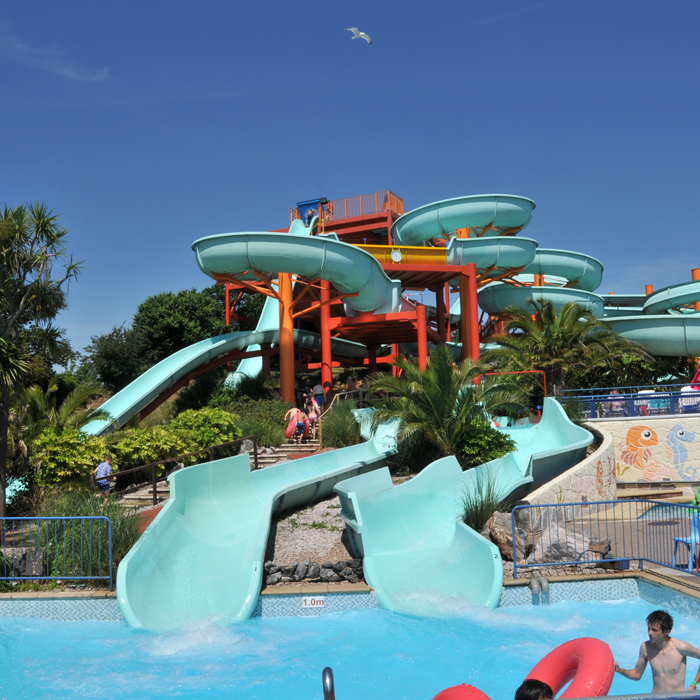 Splashdown Quaywest is a great place to visit but there is plenty more in Devon to see, so why not flume and go a bit longer whilst you’re here? Close to the waterpark you can find plenty to keep you occupied. We’ve our own arcade of amusements with 2p falls, grab machines and big screen games. Everything for a day on the beach can be bought from the Sunrise Beach and Snack Store. Why not take to the water with a pedalo or book some outdoor adventure activities, like coasteering or kayaking along the coast of the English Riviera Global Geopark with our friends at Reach Outdoors. Not quite so energetic but oh! so much fun, the tide slips back on Goodrington Beach to reveal a large swathe of rock pools, teeming with sealife, and of course there are never ending sandcastles to make. 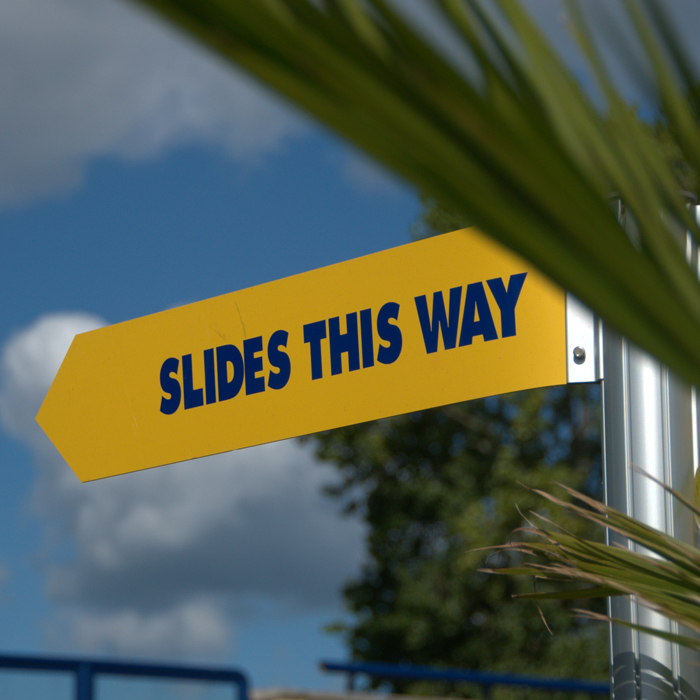 Take a wander along to Young’s Park with mini-golf, bumper boats and play. Pick up the world famous Paignton and Dartmouth Steam Railway at Goodrington station – it’s a brilliant, hassle free way to travel to Dartmouth is along this historic, heritage route. Paignton Zoo is just up over the hill a short drive away and is one of the highlights of a visit to the English Riviera that you should not miss. Visit the home of stone age man, at Kents Cavern or the residence of famous crime writer, Agatha Christie, Greenway. There are a whole host of award winning attractions in South Devon just waiting to be discovered. Full details of all there is to see and do, together with a year round calendar of events and festivals throughout Paignton, Babbacombe, Brixham and Torquay, can be found on the English Riviera Tourism’s website. Whether it's picnics on the beach or sitting on a hill, dining al-fresco or an ice cream or two. Food and drink in Devon is definitely part of the attraction. We hope that you will give our food a try or maybe pop back in the evening to visit The View. If you are out and about there are some great places to try. Some of our favourites are Occombe Farm, brilliant place to stock up on Devon goodies as well as a cracking café. Guardhouse Café at the spectacular Berry Head. No visit to Devon should be without a fish and chip supper, try Rockfish, several across the Bay and Hanbury’s. We’ve had several good meals at Italian restaurant Amici and if you want to push the boat right out, you will go a long way to beat The Elephant just off the harbourside in Torquay. Try the Old Market House in Brixham; The Waterside in Totnes is good too and Riverford Field Kitchen for hearty, organic food is definitely worth looking out. Many of the larger hotels have excellent dining for non-residents. Good pubs and popular family dining chains are to be found all over the English Riviera, the Eating Out Guide is a good place to start looking for your next place to eat. Decided to stay a while? Whether you are here for a day or two or for that annual family holiday there’s a huge range of accommodation for every pocket. Right next door Inn on the Quay is part of the ever popular chain, Premier Inn but surrounding the waterpark there are plenty of B & B options and self-catering apartments. Beverley Holidays are just up the road with excellent caravan and lodges to hire and TLH is another favourite for families coming to the area. 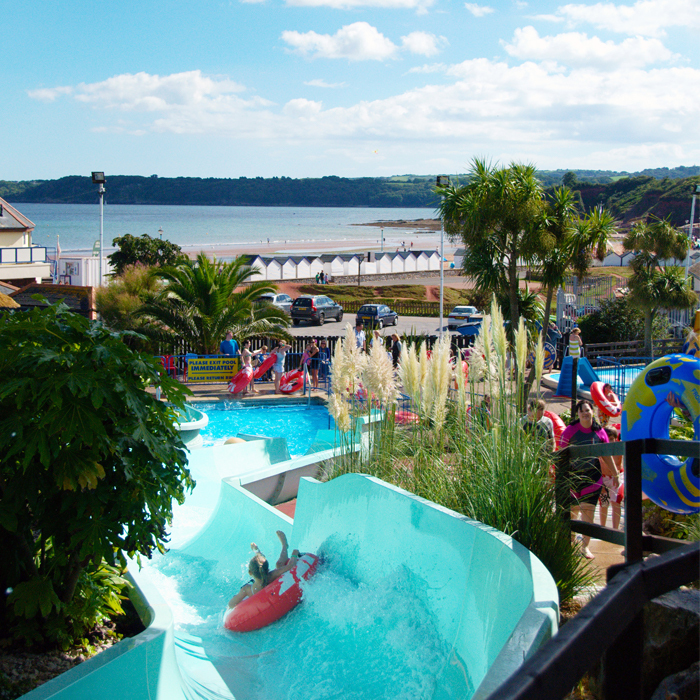 Sykes Holiday Cottages offer a lovely selection of self-catering properties in Paignton close to the waterpark and the wider Devon area. With so many hand-picked cottages to choose from, there is something to suit your every need. Staying in Devon there’s such a variety of accommodation from castles to cottages, glamping sites to gatehouses, whatever your accommodation needs or budget you will find the perfect place to stay whether you are coming for a couple of days or the annual family holiday. Venture inland to beautiful Dartmoor, or the interesting town of Totnes or Britain’s Ocean City of Plymouth and historic Exeter or maritime Dartmouth all have a great deal to offer by way of places to stay and plenty to do.